In Australian Autumn I collaborated with such an amazing talented group of people. Our idea was inspired by this unique small pub which has a bucket load of character. The Stanley has old stunning furniture, leather couches, wooden floors and oriental rugs. I was sold!! I knew I had to do a shoot here. Owner Gerry was kind and happy for me to go ahead with it. I heard they have had couple of weddings in this venue, would love to shoot one of those, please! I got together with Sandra and Birgitta from Elvi Design and they had the perfect dress for this themed shoot. Beautiful flowers, which could have not suited better with the venue, was created by Anna from Botanica Naturalis. Make up was done by such a sweetheart Cat from Cat Elizabeth Artistry. Of course not forgetting this lovely real couple who was so much fun to work with. 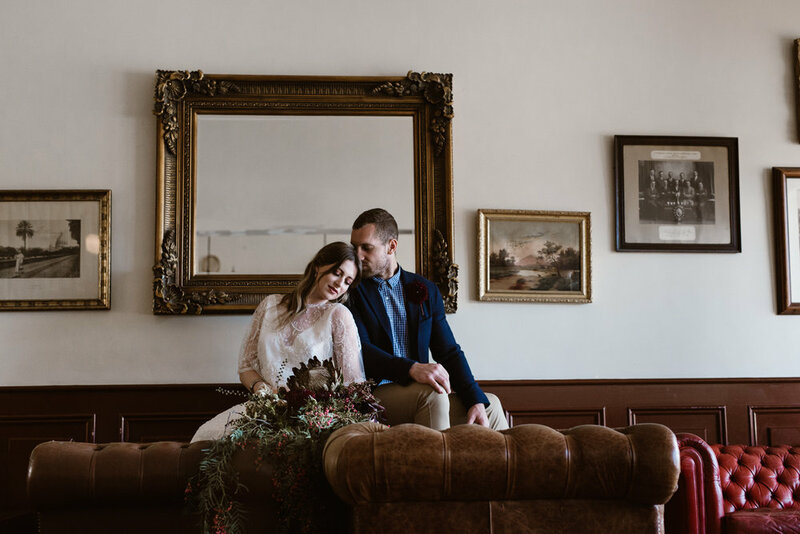 This vintage styled shoot has been featured on Nouba Wedding Blog.